Rose Colored Reviews is a series of nostalgic reviews of video games, television shows and motion pictures I have grown up with and see if they still stand the test of time. In the premier video, I will take you back to the year 1983 where I show where my love of video games began; at least where it started to my recollection. In the premier episode, I will take you back to the year of 1983 with the release of Activision's, "Keystone Kapers," for the Atari 2600. I discuss my fond memories of the game and if it is still fun to play today. Check out the video below for the full review. Thanks for watching! 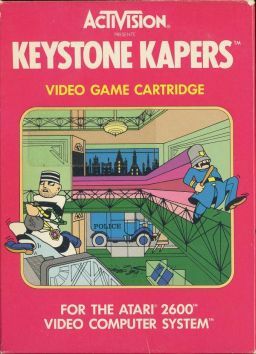 Have you ever played Keystone Kapers? What are your thoughts on the game?